as well as portfolio and point investments in stocks of most reliable and promising global brands, including Apple, Microsoft, Alibaba, Amazon, MasterCard, Visa, Google, Facebook, PayPal, Boeing, Coca-Cola, McDonald's and many others, providing, along with high income, the possibility of 100% protection of investors' capital. 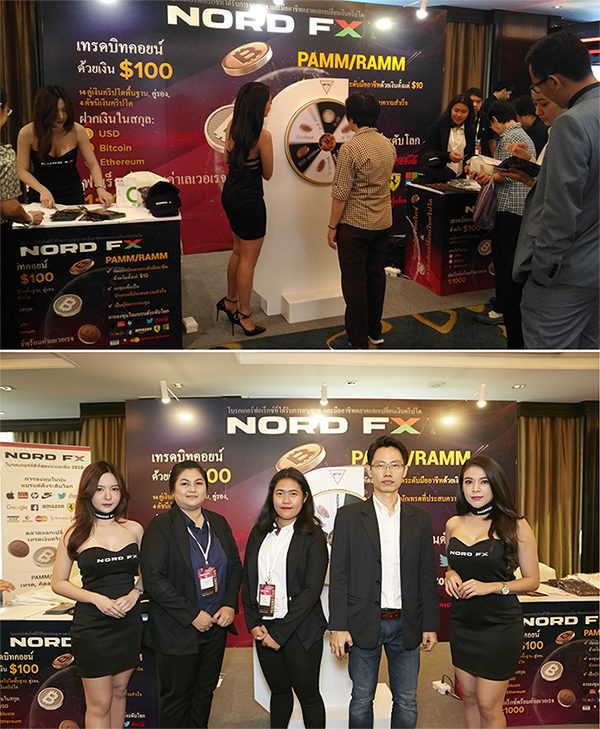 “This year, about 2,000 people visited the Traders' Fair,” says NordFX Head of Thailand Mr.Chai, "which provided excellent opportunities for communication with both our clients and traders who are just about to open a trading account with us. It is especially important that we not only told them about our new products, but also were able to listen to their wishes, thereby defining directions for the further development of our company. We were also able to strengthen the existing partnerships and establish new ones, which is a very important factor for the promotion of NordFX services not only in Thailand, but throughout the entire Southeast Asia region.